An African woman has drowned in her quest to reach the United States of America after fleeing her country. 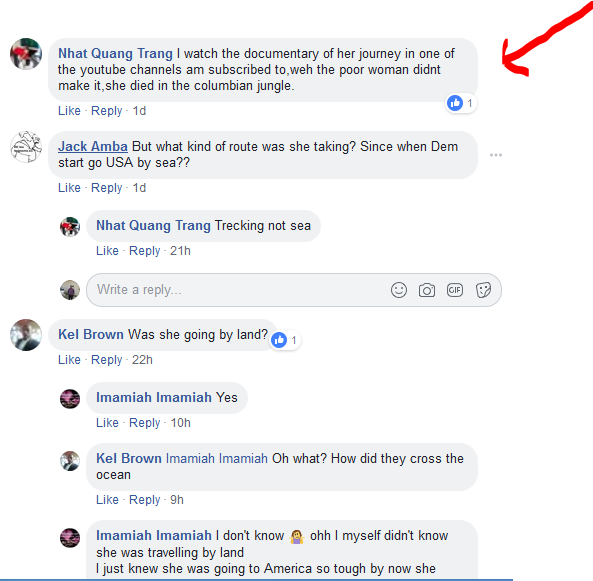 According to trending media reports, the woman identified as Tebit Queeniva from Guzang village in Cameroon allegedly drowned at a jungle in Panama. A viral video published online shows her bereaved brother crying and mourning on his sister’s corpse as he lamented that she died at the jungle after they have been on the journey trekking from Cameroon for over one year now. According to the brother, he and his sister along with others had to flee their country because of the crisis going on there which almost claimed their lives. It has also been revealed that some journalists are still investigating the story to find out how they managed their unusual journey from Cameroon. 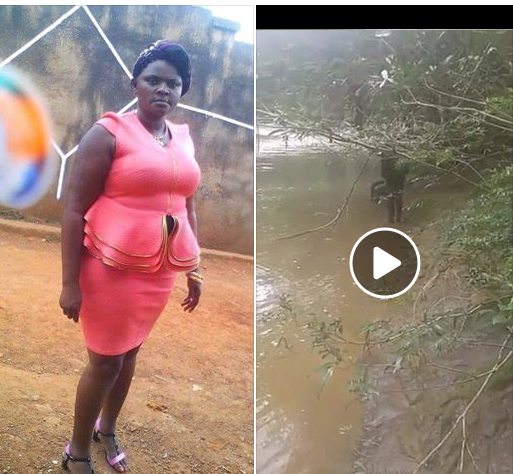 0 Response to "Cameroonian Woman Drowns In A Jungle While Trekking To USA (Photos/Video)"